Today I have a new eye shadow palette from Julep to show you. 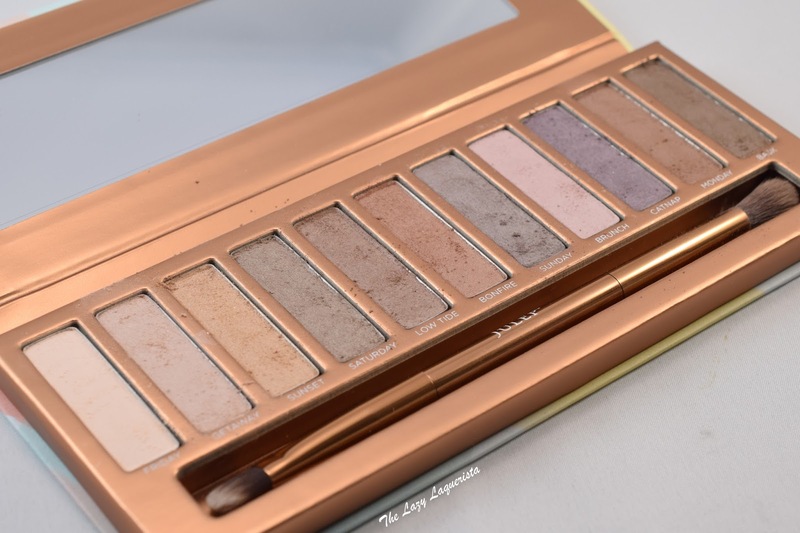 This palette looked like a nice mix of matte and shimmery neutrals which gave it good potential to be very versatile. 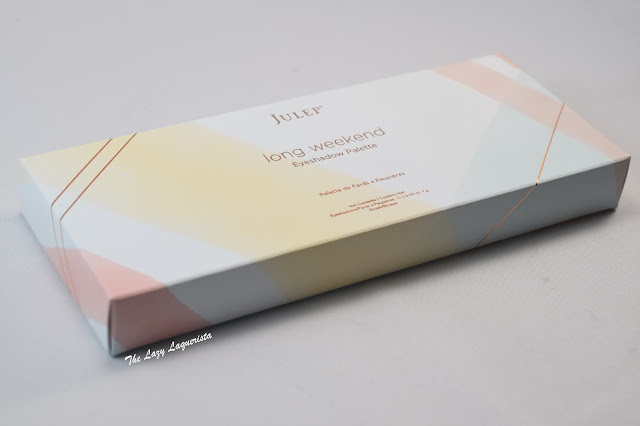 The Long Weekend Eyeshadow Palette retails for $54.00 ($43.20 for mavens). The swatches below are shown on bare skin without any primer. I found that they did take a lot of work to get good pigmentation. I also experienced a lot of fallout so I found patting the shadow on instead of brushing it on was more effective. While the lighter shades like Friday, Getaway, Sunset and Brunch look quite nice I found the darker shades did not live up to the colours in the palette. On the skin they looked a lot lighter and more washed out than I was expecting. After swatching over bare skin I tried swatching all of these shadows over Urban Decay Primer Potion and it did improve the pigmentation a lot - I needed far less shadow to reach the same level of opacity. However, it didn't help with the saturation of the darker colours. You can see the level of fallout in the palette after just two sets of swatches. Powder was flying everywhere. 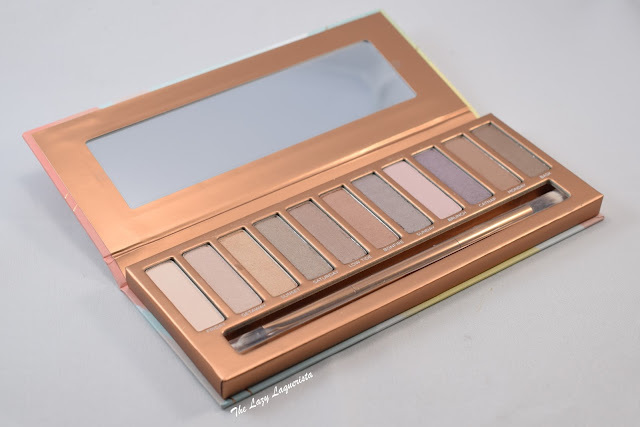 I really wanted to love this palette but at best it's just mediocre. A lot of the shades end up looking very similar once applied and the fallout is just too much. If you're looking for a light neutral look you could get what you need out of the palette but if you're looking for something more dramatic the darker shades just won't be enough. 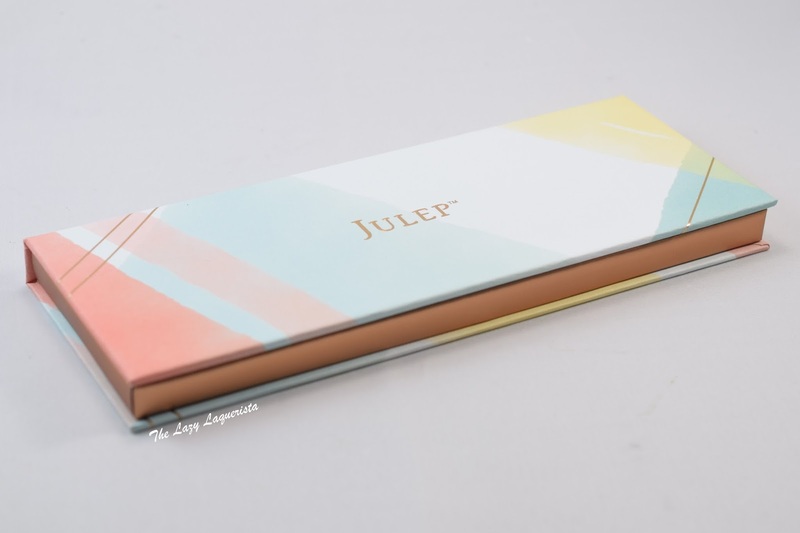 If you're interested in learning more about becoming a Julep Maven, check them out here.